Bella Vista Health is a skilled nursing facility in San Diego County focused on empowering patients and rehabilitating them back to their personal best. Bella Vista Health Center offers short and long-term rehabilitative care for patients recovering from an injury or illness. Our skilled nursing facility in San Diego is powered by a team of providers and professionals devoted to helping each resident achieve optimal health and functional independence. At our facility, we believe that a high level of care marked by compassion and innovative programming leads to a better quality of life. We built our rehabilitation services around this notion; each program is designed to empower our residents to reach their maximum potential, whether their needs are physical, social, emotional, or cognitive. Along with our skilled nursing staff, our on-site specialists work collectively to provide each resident with the care they need to feel their best. Our physical therapy programs are completely customizable to help each patient achieve his or her mobility goals. We use the latest technologies in pain management to ease muscle and joint discomfort for a healing process that is both effective and therapeutic. The occupational therapy programs at Bella Vista Health Center are designed to address the functional challenges a patient faces after an injury or illness. Through a customized plan of care that includes strength training, transfer training, and adaptive equipment, our goal is to empower each patient to perform daily tasks with independence. Our speech therapy programs consist of treatment, support, and care for patients with communication and swallowing difficulties. The speech therapists at our skilled nursing facility use dysphagia retraining, cognitive retraining, and communication retraining to help patients regain the ability to communicate, comprehend language, and swallow safely. The pulmonary rehabilitation programs at Bella Vista Health Center are designed to improve the quality of life for patients living with a chronic lung condition, such as COPD. Our respiratory therapists use a combination of breathing strategies, exercise training, nutrition counseling, and emotional support to help patients achieve the highest level of independence and functionality. 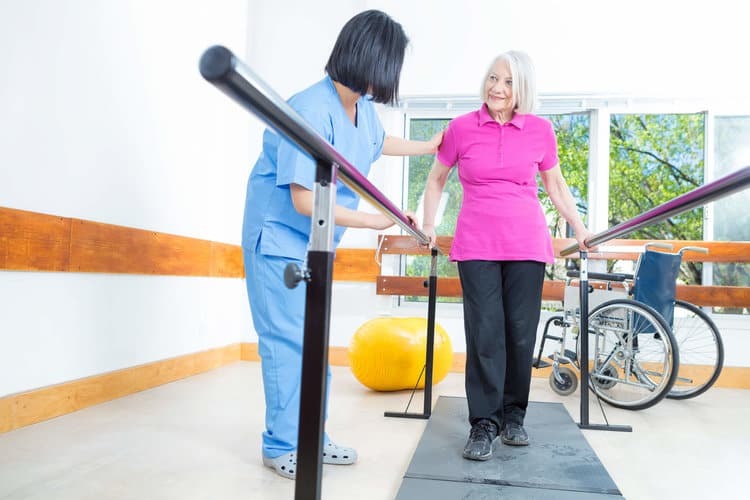 Post acute rehabilitation services are designed for patients of all ages who no longer need hospital care, but would benefit from additional therapy and care before returning home following injury, illness, or surgery. At Bella Vista Health Center, we provide a continuum of care that bridges the gap between hospital and home for those in need of short-term rehabilitation or long-term care. At Bella Vista Health Center, we offer a lot more than the typical skilled nursing facility. In addition to compassionate care and rehabilitation services, residents have access to a variety of amenities designed to make their stay comfortable, therapeutic, and above all – enjoyable. With a balanced mix of flavor and nutrition, the dining options at Bella Vista Health Center make it easy to satisfy your appetite while getting the nutrients you need to feel good. A registered dietitian works with our chef and staff to create culturally diverse meals, holiday feasts, and themed dinners that make mealtime something to look forward to. The journey to recovery is different for every patient. Each requires a custom plan of care to rehabilitate back to their personal best. That’s why we take a holistic approach to wellness that addresses the mind, body, and spirit. To ensure the long-term health and happiness of our patients, we offer group outings, live music, birthday celebrations, yoga and meditation, and more. At Bella Vista Health Center, our goal is to provide a comfortable, safe, and nurturing environment where patients can focus on their recovery. That’s why we offer many of the essential services our residents need right on-site. These include salon and barber services, concierge services, local transportation, and 24/7 access to our medical staff. Vision, dental, and podiatry services are also available based on individual needs or requests. As you begin this next chapter, allow us to ease the transition by providing a warm, nurturing environment where you can rehabilitate back to your personal best. 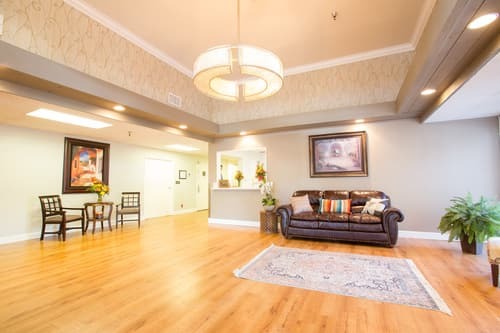 Whether you choose Bella Vista Health Center as your new residence or a safe place to recover, we promise to provide a positive experience while in our care. Ready to learn more? Please call us at (619) 644-1000 or fill out our form to schedule a tour of our 5-star skilled nursing facility in San Diego. Here at Bella Vista Health Center, we offer the highest standard of care, the deepest compassion and the most devoted professional staff. Bella Vista Health Center has the most compassionate and highly professional staff who provide quality nursing care in a nurturing environment. At Bella Vista Health Center, our newly remodeled 5-star facility has everything you need for your stay in our skilled nursing facility.